First Sunday in the month – The Eucharist – 4.30 p.m.
Third Sunday in the month – Evening Prayer – 4.30 p.m.
Julian Meetings are held on the Second Tuesday of each month at 10.00 a.m.
Wakefield’s medieval Chantry Chapel was originally built as a place to remember and pray for those have died. 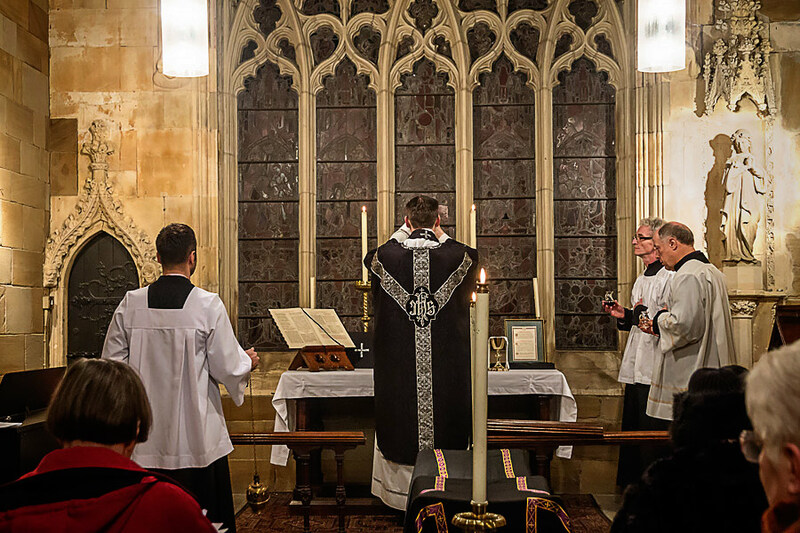 This is a tradition that is being revived, and alongside our regular worship at the Chantry, an annual Eucharist is celebrated on the first Sunday in November at 4.30pm (on or around All Souls’ Day) to commemorate the departed. 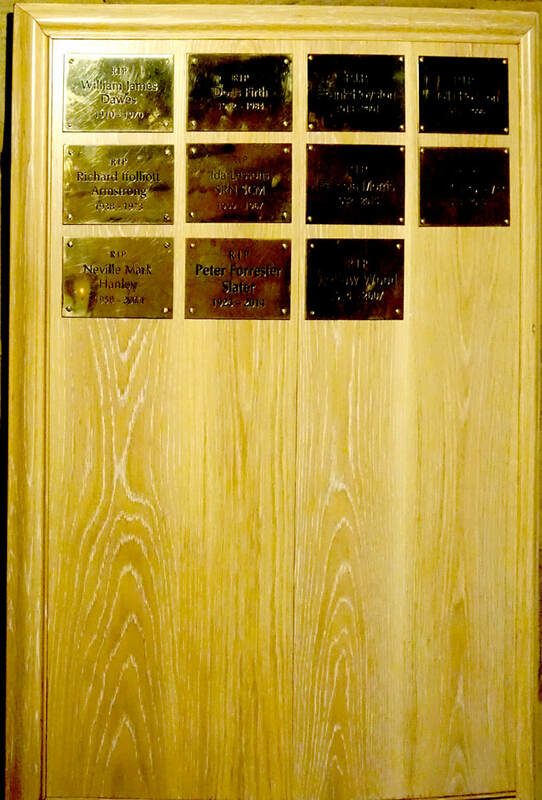 Together with the Dean and Chapter of Wakefield Cathedral, we have now introduced simple brass memorial plaques; these are displayed on a board in the original medieval crypt of the Chapel. A plaque can be purchased for £350, knowing that the name of your loved one will be commemorated in perpetuity, and prayed for particularly at the annual commemoration of the departed. The Chapel is not always open, but we have an increasing number of services and activities taking place there, when access to the crypt should be possible for you to view the plaque you have commissioned. Viewing can be made at other times by appointment. The price of a plaque is £350, and this money will contribute to the long-term upkeep of the Chapel. The Latin Mass Society will celebrate the feast of the Nativity of the Blessed Virgin Mary on Thursday September 8th at 7.30 pm. This event is not ticketed. The Latin Mass Society will give the Requiem for Prince Richard, Duke of York (died 1460) on Friday 30th December at 7.30pm. Tickets fro this will also be available through the Theatre box office. Tickets are free but ticketed to restrict numbers (a booking fee may apply).